Appearance (0-20): I tend to smoke darker and fuller cigars, but this was suggested to me by a friend at Cigars International. 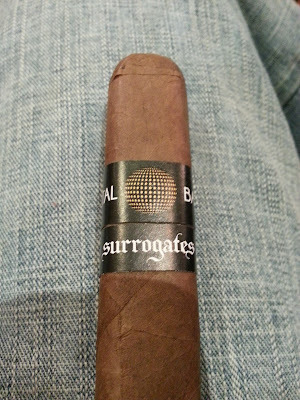 Out of the 4 “Surrogates,” he said that I would enjoy this one the best. Inspecting the stick, it had a light brown habano wrapper. There are some small veins on the wrapper, but nothing that is worrisome. The wrapper was fairly simple, only using simple text and one yellow “crystal ball.” While nothing really jumped out to me, nothing caused me any concern either. Construction (0-20): The cap didn’t seem to be fully wrapped on, but it clipped off easily without any issues. The cigar light up very easily, while giving way to a nice smooth draw. 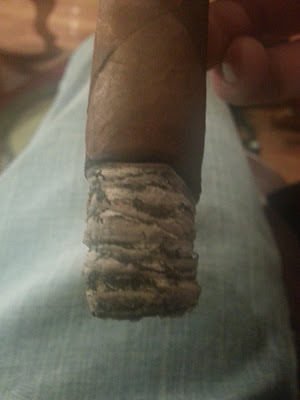 The burn line was even right down to the nub, and the ash held on extremely well. The ash was a light gray color, and tapped off easily at close to 2 inches. Strength (0-20): This one sits smack dab in the middle of medium, and it just works! Any more strength wouldn’t give the flavors full development, and any less would make it bland. Spot on. Flavor (0-20): Right from the initial light, I got some great creamy flavors. There was no harsh start to the cigar, just some very subtle bits of spice. The smooth creamy definitely will stay with you the full length of the cigar, but you’ll encounter some other notes that really give a nice balance. The second third of the cigar gave off some sweet wood and vanilla flavors. The notes were somewhat hard to pinpoint, but they complemented each other extremely well. I enjoyed the blend so much, that I burned it right down to my fingertips. Value (0-20): At $8.00, I think this competes well with anything else on the market. The smooth flavors were robust, and lasted from beginning to end. Well done! Overall (0-100): As mentioned before, I most likely wouldn't have ever picked this stick up unless recommended. Luckily I did, because this cigar was fantastic. 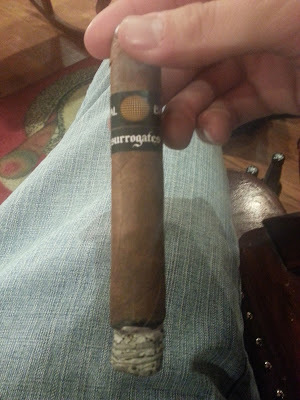 With little to no expectations, this Surrogate was quite memorable and will be a repeat purchase. The flavors blended well, the burn was great, and the price was right. 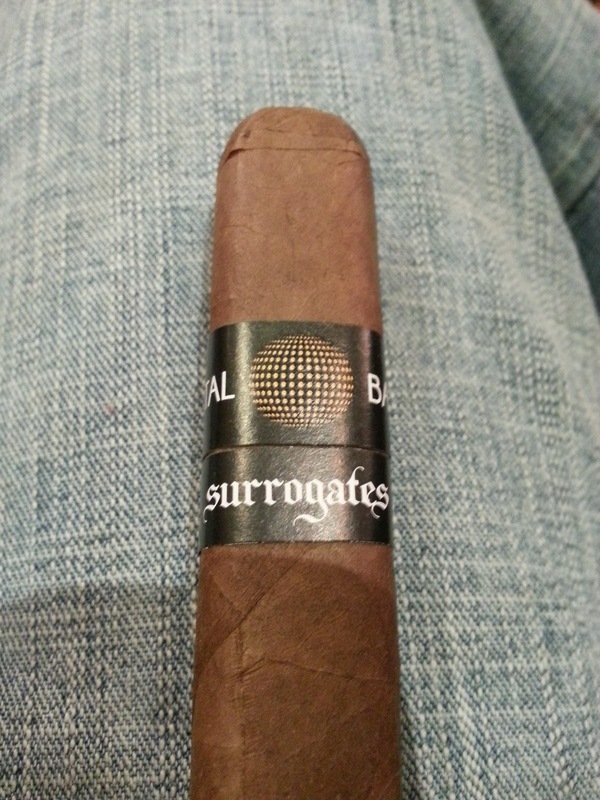 I’ll probably delve into the rest of the Surrogates lineup.